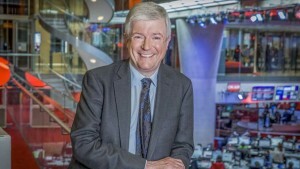 BBC director general Tony Hall is once again to highlight the threat presented by US-based digital companies to British television. The BBC, which operates on a licence fee model, will need to embrace new business models in order to survive an increasingly consolidated media landscape, with the likes of The Walt Disney Company and Comcast making big acquisitions making major market interventions, Hall will say. He has taken various shots against digital giants in recent months, as the media and economic landscapes continue to shift.